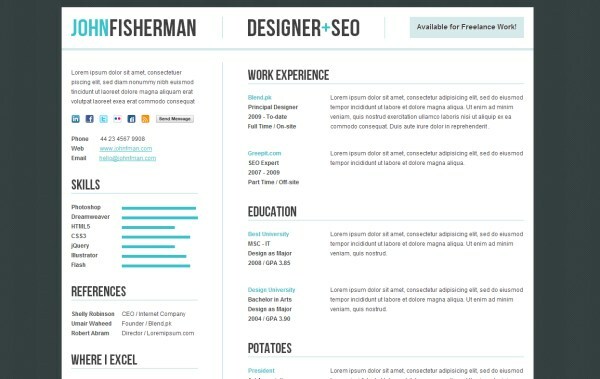 Recently we published a collection of print templates for creative and professional resumes, and today we’re going to take a look at some HTML templates that make it easy to put your resume online and open up more possibilities for exposure. 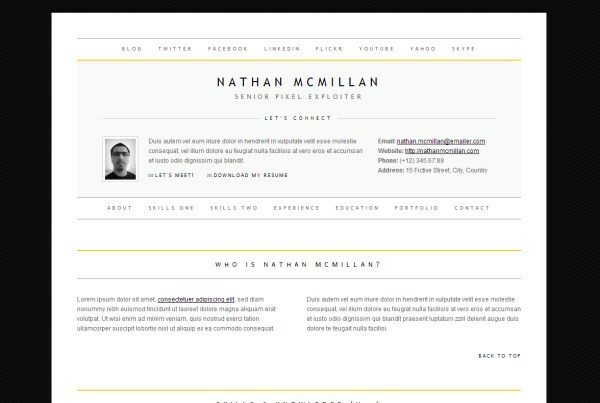 Having a personal website with your resume online can help to make it easier for sharing your resume through social media and email, and you never know what other ways people will come across your resume site. 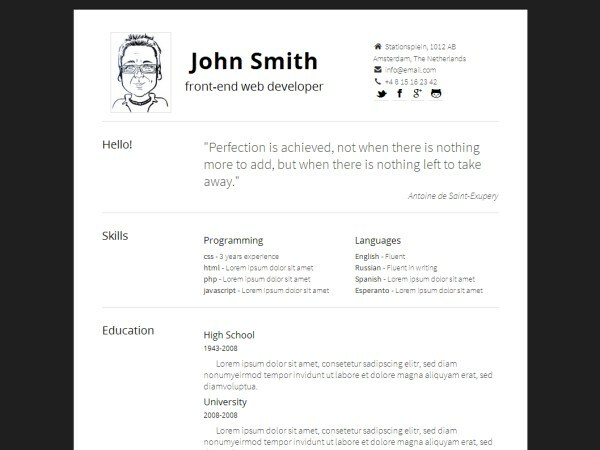 Setting up an HTML resume can be pretty simple with the help of a good template. 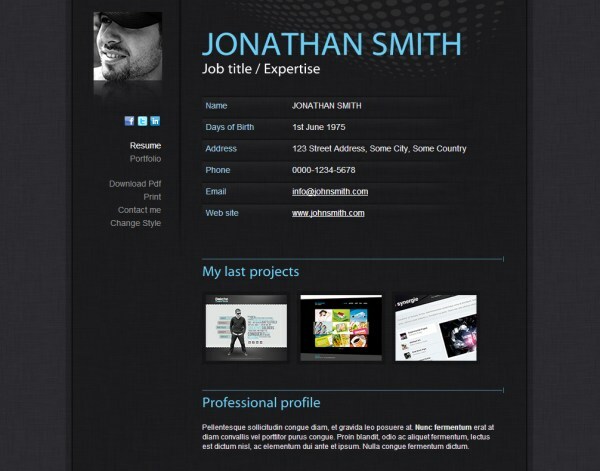 Just insert your own information and upload it to your server and it will be ready to promote you. 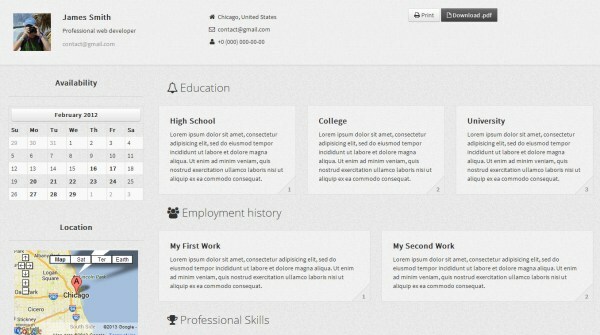 Best of all, you can get a quality template for less than $15. 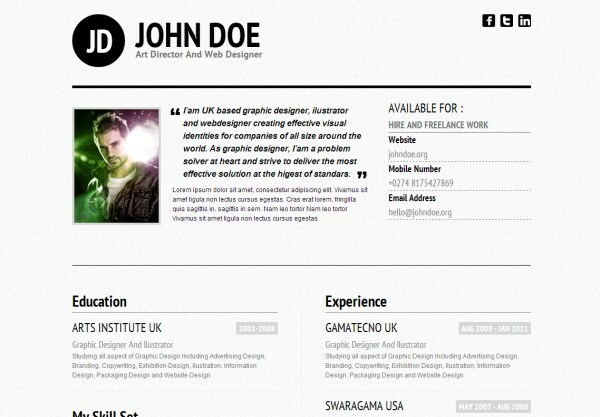 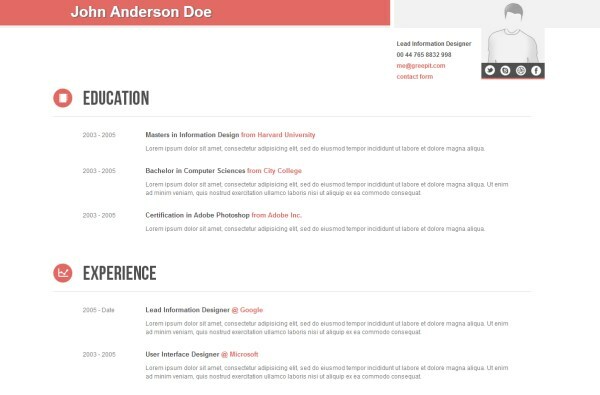 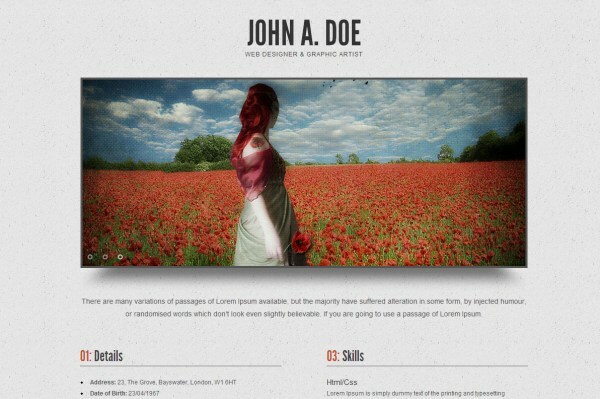 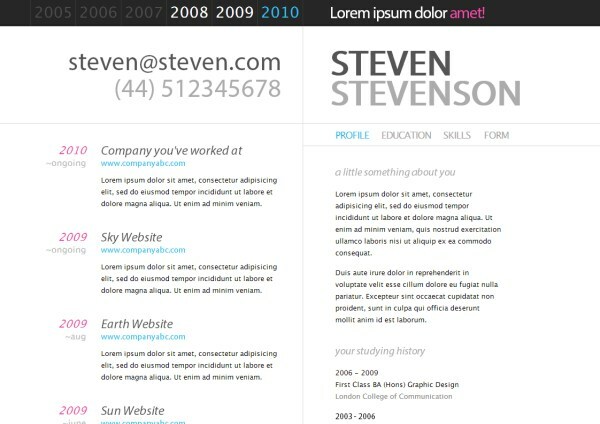 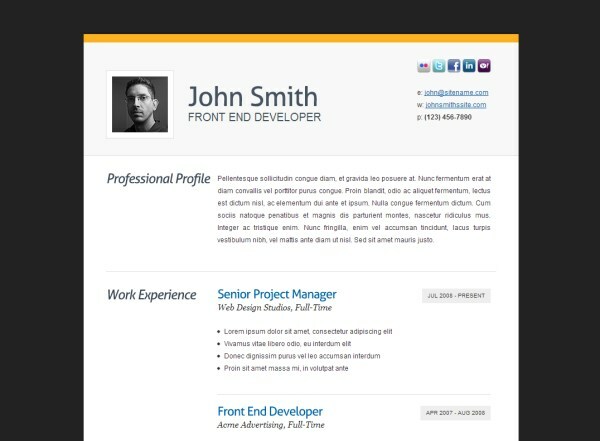 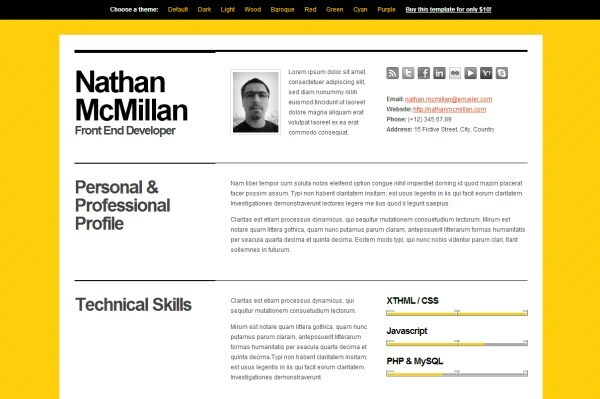 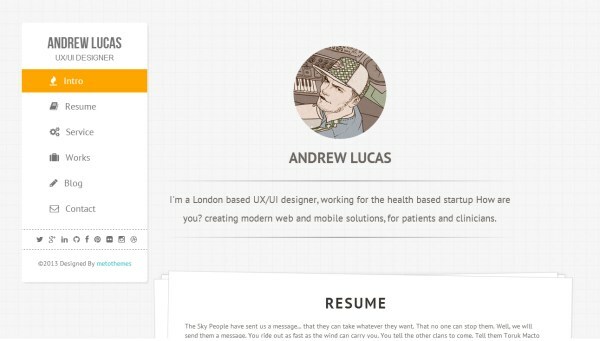 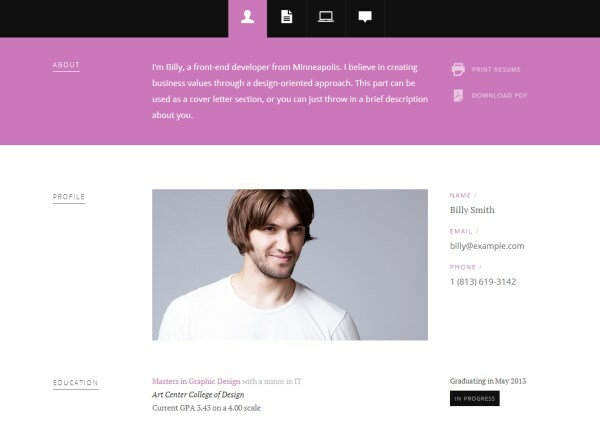 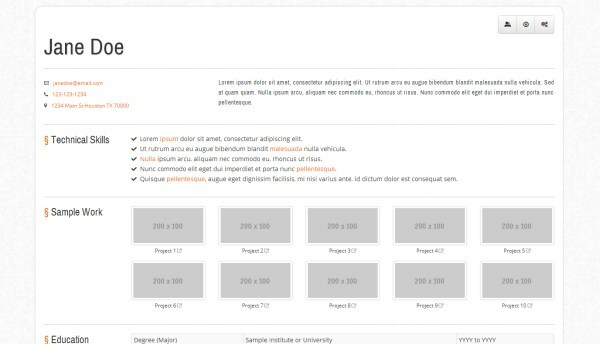 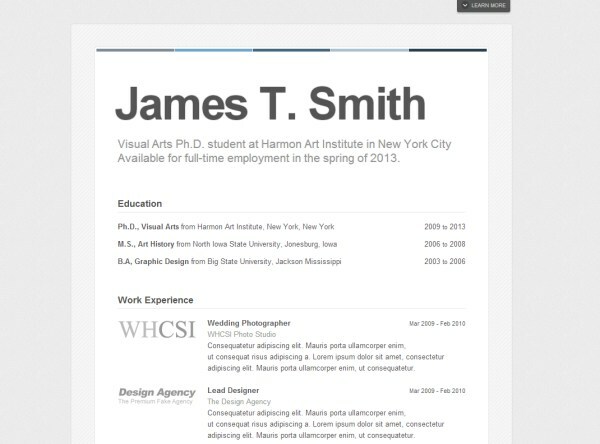 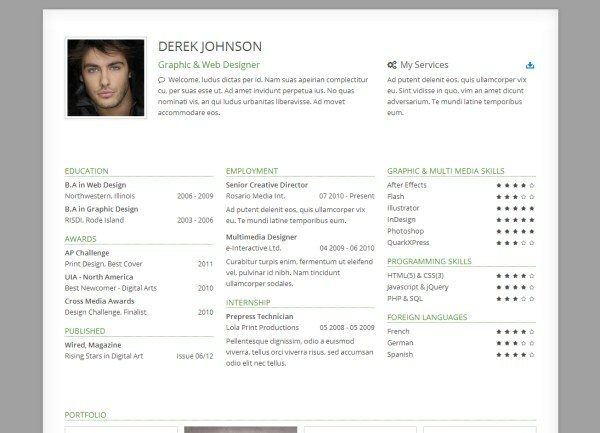 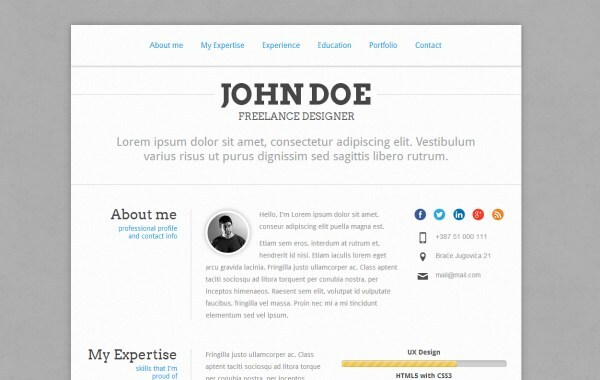 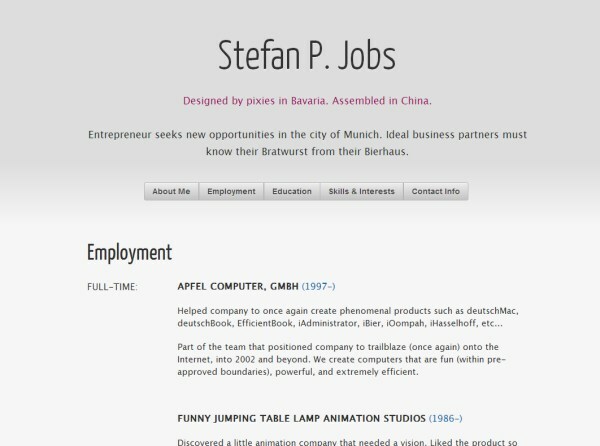 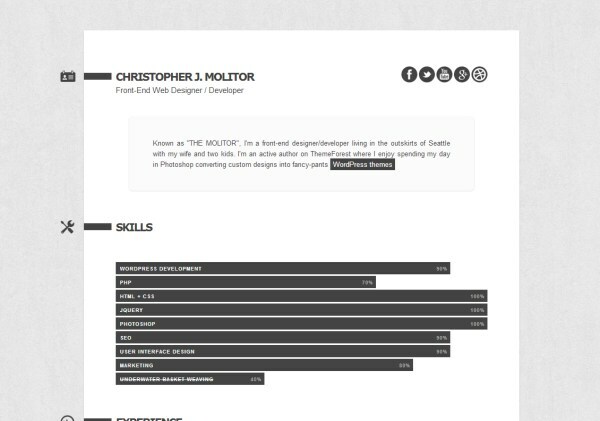 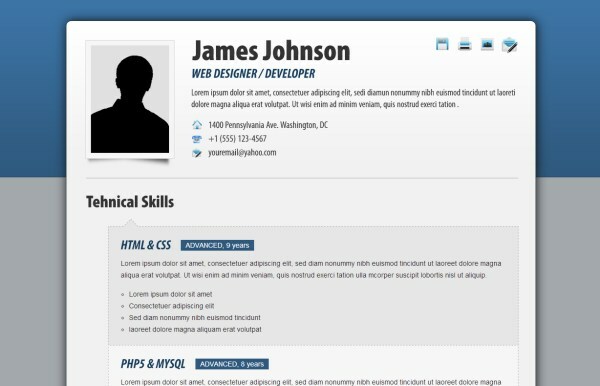 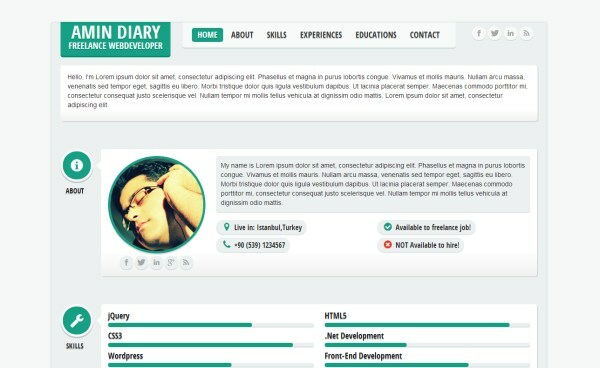 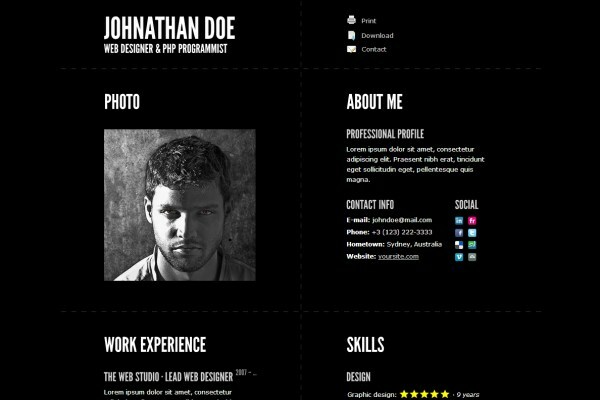 Here is a look at more than 20 different HTML resume templates.